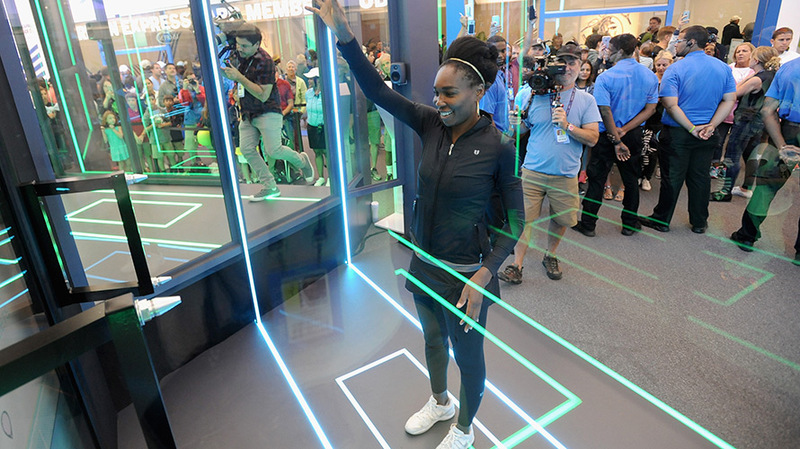 Venus Williams checks out a special game of tennis at the American Express U.S. Open fan experience. Fans aren’t given any equipment to face off against an AI opponent, but instead use their body and hands to return the ball. The game of air tennis is designed to read each player’s shape and build using a kinetic motion sensing device. You’ll know when it’s time to hit the ball because the game delivers a puff of air out of one of five tubes (two to your left, two to your right and one up top). Within the experience there are eight bays for fans to play in, against their AI opponent. “We really constructed and designed the experience to create that level of spectator engagement, as well as to provide as many fans with the opportunity to play, which is why we created multiple bays so we could get as many fans experiencing the specialness of it as possible,” Deborah Curtis, vp, global experiential marketing at American Express, said. American Express teamed up with Venus Williams once again to kick off the U.S. Open experience. Williams made an appearance at the fan experience on opening day and hopped into one of the air tennis bays to play a few sets. 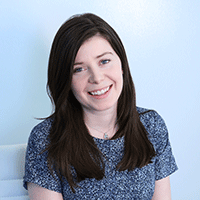 “For us it’s about, what are the different dimensions that make that talent special? Also, [what are some] things that are important and instrumental to our brand? One of the things that we talked to Venus about is the fact that she’s an entrepreneur and her life blends between being a tennis pro, her personal life and her new businesses. We are also in the business of supporting small businesses and entrepreneurs, so we were very excited to bring her interior design business into the design of our card member club experience,” Curtis said. Williams helped design the layout of the fan experience at the U.S. Open this year and the cozy cardholder club where fans can relax and enjoy charging stations and hand massages as well as food and beverages. Agency Momentum helped bring the experience to life, while Flight School created the air tennis experience. American Express also tapped Venus Williams for its “Ace the Open” social series. Brands have been setting up activations at the U.S. Open for a while now, and American Express is no stranger to the event. Last year Amex presented its very own Pro Walk to tennis fans, recreating the professional player entrance to Arthur Ashe stadium and giving customers a sense of what it’s really like to be a pro tennis player at the U.S. Open (a theme in a lot of their experiential work). The year before, Amex used virtual reality for its “You vs. Sharapova” activation, where fans could get a sense of what it would be like to face off in a match with the tennis star. 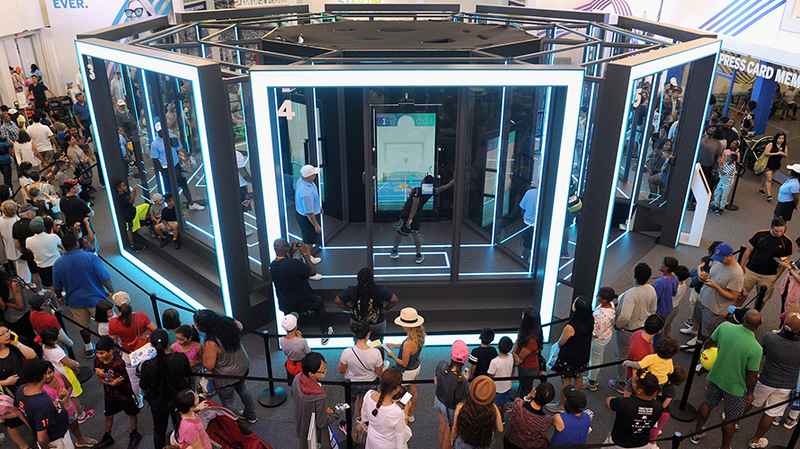 This year’s activation from American Express once again puts fans at the center of the experience, something that the brand greatly values with all of its activations and messaging. 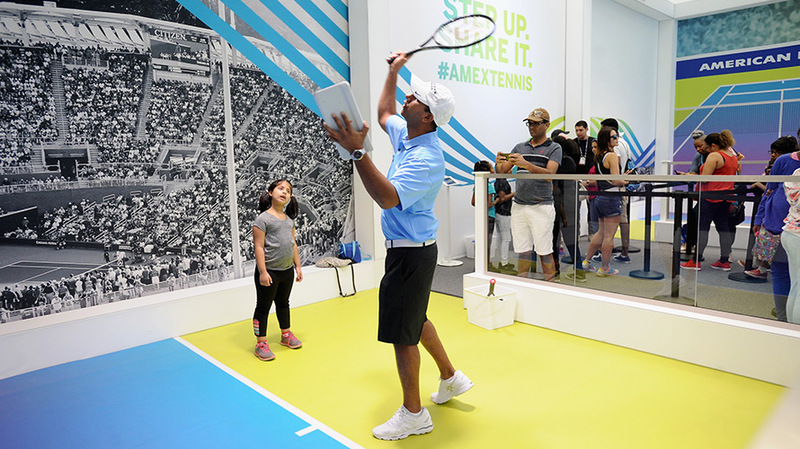 American Express has been a partner with the USTA and the U.S. Open for 24 years, so each year the brand makes sure all of its activations for fans and cardholders are one step above the year before. “Year on year we’ve used technology, and new technology, and we pride ourselves on bringing technology or a combination of it to experiences like the U.S. Open, which is obviously a marquee partnership for us in ways that haven’t been done before, which require a lot of work and some degree of risk but we feel like it’s always worth it in the end,” added Curtis.